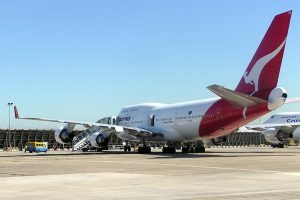 Babcock has been awarded a five-year contract to support the Qantas Group’s fleet of Ground Support Equipment (GSE), which comprises more than 10,000 assets spread across over 60 locations across Australia. The five year Asset Management partnership, which can be extended for a further two years, will see Babcock team up with Qantas to transform the airline’s entire GSE fleet, improving reliability and delivering long term cost and capability benefits in the process. Babcock already provides a range of support services at international airports, including in London, Amsterdam, Sao Paolo, and most recently Rome. The company’s Australasia Chief Operating Officer David Ruff said the new contract was a testament to Babcock’s capability to deliver fleet management services to a range of customers including the London Fire Brigade and Metropolitan Police. “We are excited to work in an innovative partnership with an iconic Australian company,” Mr Ruff said. Graeme Nayler, the company’s Director Corporate Development, said Babcock has already completed a large chunk of the design and implementation work and was ready to “hit the ground running”. “Our vision for Qantas is one where GSE is managed and measured centrally through a single asset management system and is accessible to all business units and sites, no matter how remote,” Mr Nayler remarked. Babcock is a leading engineering services and operational support organisation, with over 34,000 employees around the globe and revenues of over AU$9.5 billion. The company employs 700 staff in Australia and New Zealand.